Over the years many Christians have wondered when the prophetic words of nationwide revival from evangelists Smith Wigglesworth and Jean Darnall will be fulfilled. Twenty years later, in 1967, American evangelist Jean Darnall had clear visions of nationwide awakening, extending to Europe. 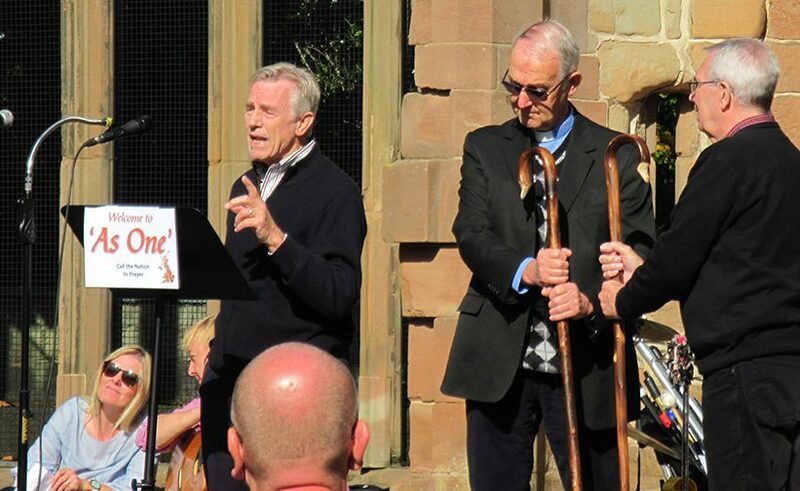 These prophecies were in the minds of the team behind the Call the Nation to Prayer (CTNTP) initiative, who believed they had followed a trail of ‘clues’, leading to a unique prayer gathering in the heart of England in September. 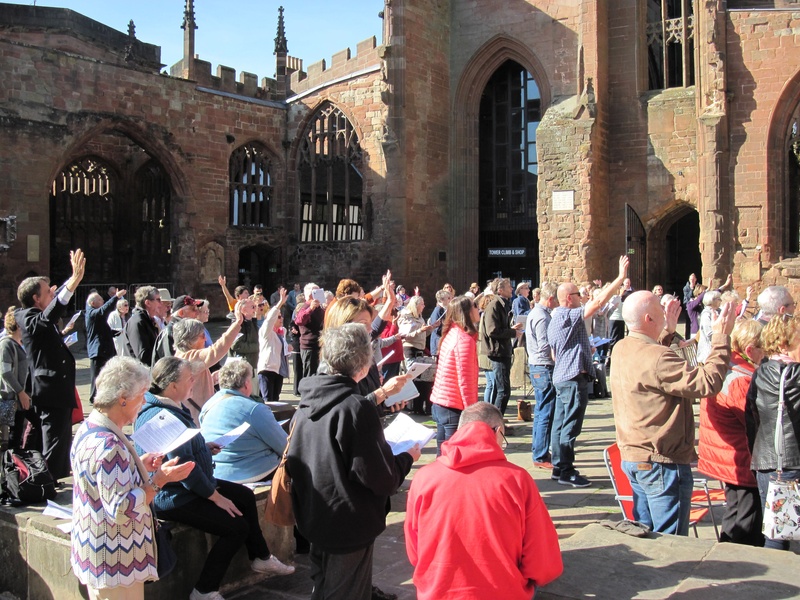 Their ‘As One’ prayer gathering for church unity and revival saw a crowd of around 150 gather in Coventry Cathedral’s ruins in the morning to worship, pray and remember what God had done in the past through different church streams and denominations. 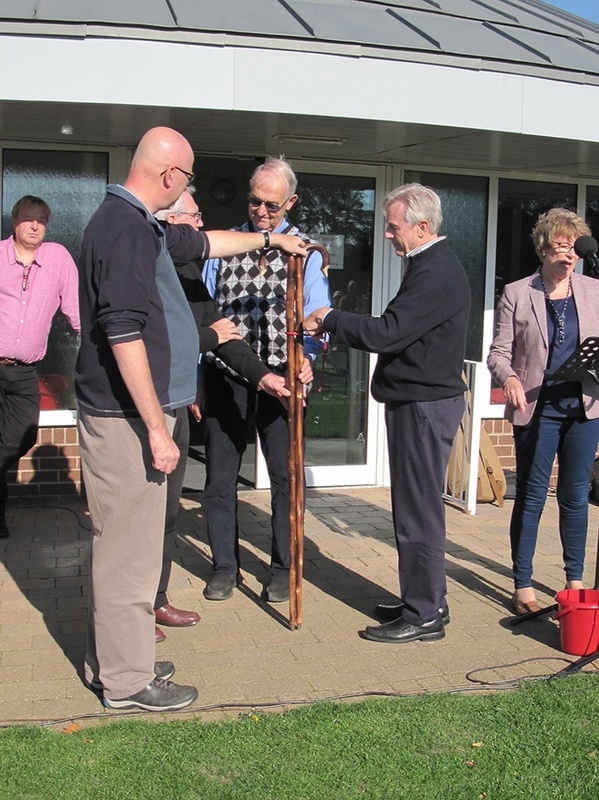 Then an afternoon service was held in the sports park at Meriden – the village regarded for 500 years as the centre of England. 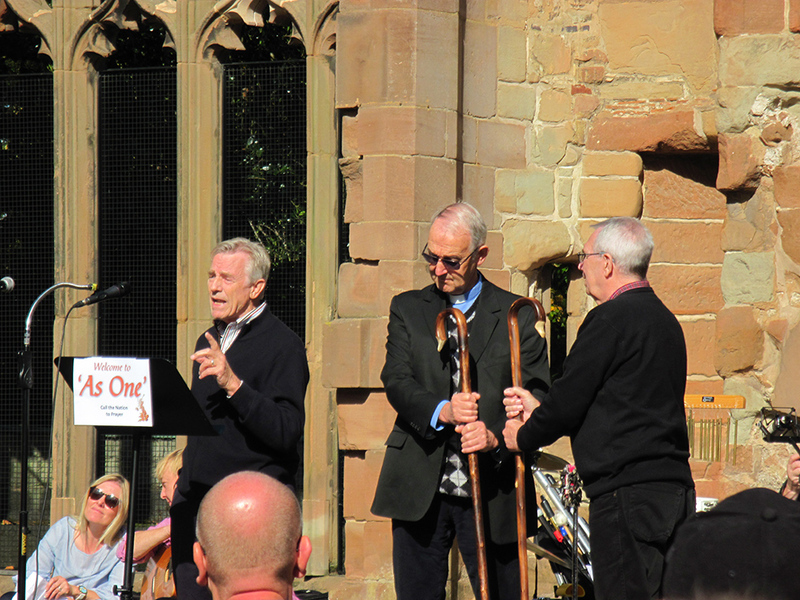 Here CTNTP’s founder, Peter Hill, symbolically joined two staffs held by Rev David Mayhew, former vicar of Holy Trinity Coventry, and John Yates of Clarion Call Ministries, with a crimson cord. This was a visual representation of the church streams historically emphasising the ‘Word’ and the ‘Spirit’ coming together, united by the blood of Jesus. 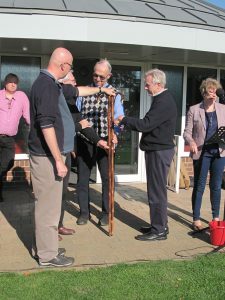 Participants danced during the worship time as an expression of love for God and finally broke into twos and threes to take communion (called simply ‘the bread and wine’ on the day). devotional reading ‘The Father’s Love Letter’ to give to friends and neighbours.